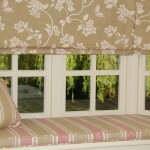 Cushions can be made in fabric to match curtains, blinds or other furnishings in your scheme. 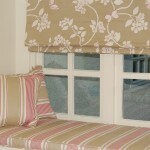 Piping detail on window seat cushion. 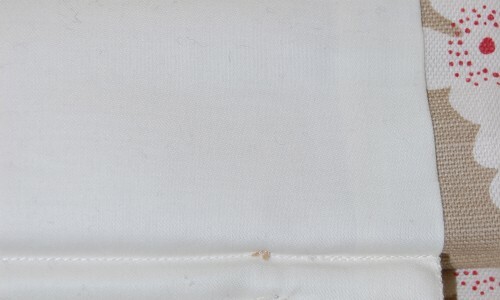 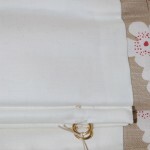 Rod pockets are not sewn through to the face fabric on roman blinds made by Diana Murray Interiors so you will not see a line of stitches at the front. 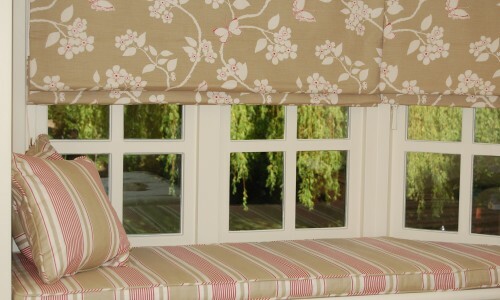 A bespoke window seat cushion and scatter cushions in french ticking fabric with roman blind above. 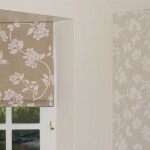 Wallpaper to match roman blinds. 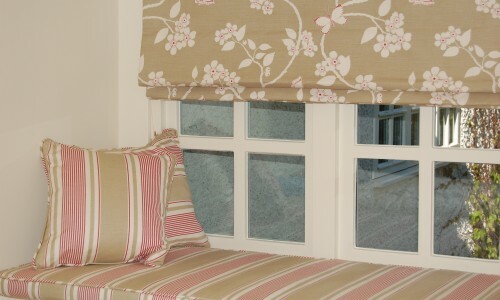 Two roman blinds and bespoke cushion to fit the window seat. 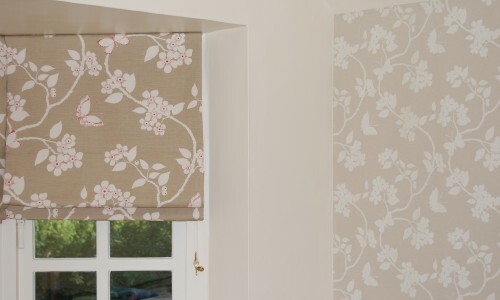 This room scheme shows how patterns can be mixed to create a wonderful look. 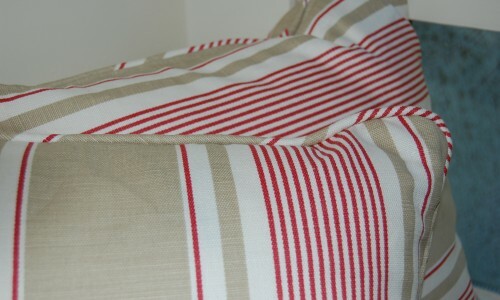 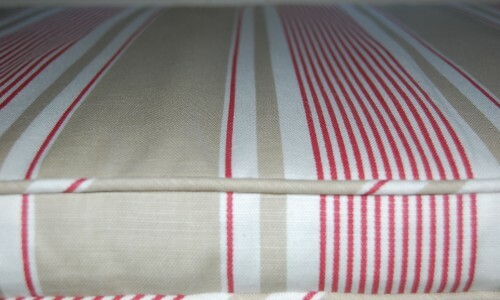 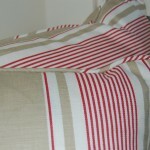 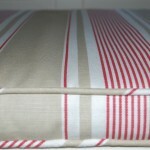 Stripes, such as the french ticking shown here, often work well with other patterns.